Emma Pollock has such an assertive voice. She had it during her time in legendary Scottish indie band The Delgados, in her solo work, her time in Canadian/Scottish band The Burns Unit and when she guested on the Dry the River track Roman Candle in 2014. Here on her first solo release in five years she sounds perhaps even bolder, as she tackles some weighty issues around the death of her mother, illness of her father and memories of her childhood. 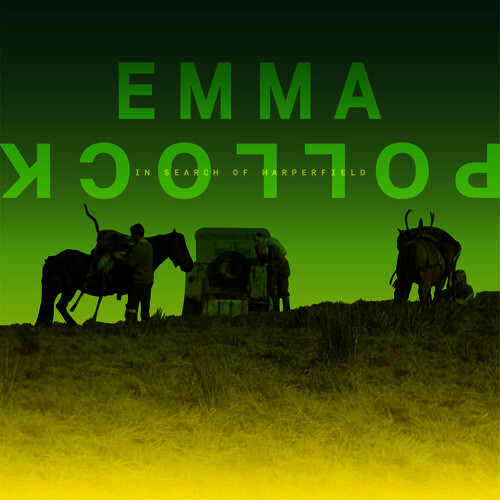 Even the title In Search of Harperfield is deeply personal, referring to the name of her parents’ first home together. To be this open about your life and family takes the kind of courage she’s exhibited in her singing throughout her career. But while the deeply personal lyrics are a key strength of In Search of Harperfield it is the music itself that makes this such a fine album. Parks and Recreation is a superb single, as it looks back to a teenage turf war from 1984 between the young Pollock and her friends with miners’ children who had been given a free holiday at a nearby caravan park. 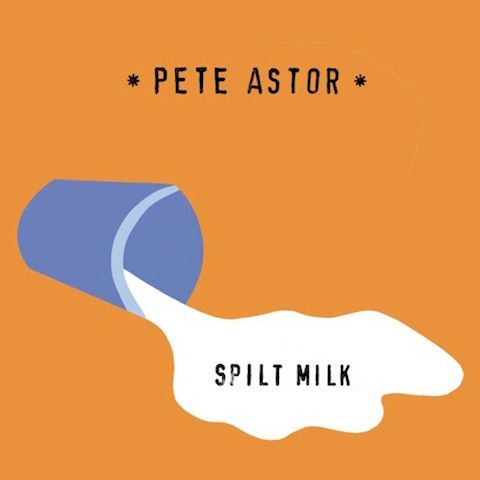 The production is bold too, full of sweeping strings on tracks such as Cannot Keep a Secret and Don’t Make Me Wait, quirky electronica on Alabaster and he folk of Clemency, where almost, just almost, Pollock turns from indie pop singer to diva. It’s hard to fault this album so quite simply I won’t. It sounds great, the lyrics and attention to detail about family life and growing up are superb and the production perfectly shows off her vocals. Already a contender for our end of year best album list. 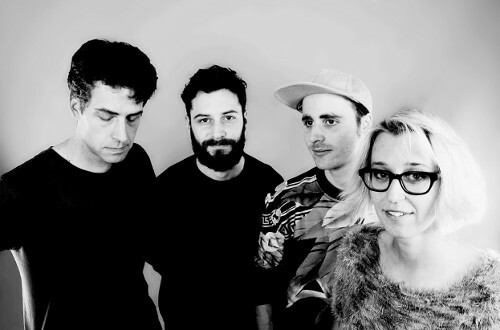 Great Lakes are among the least well known of the bands to emerge from the Elephant 6 Collective, which also boasts Jeff Mangum and Apples in Stereos among its luminaries. They are also among the least successful commercially. Listening to this, their fifth album since forming 20 years ago and first since 2010’s Ways of Escape, I can see why. The blend of country twang, most notably on album opener and its best song Swim the River, with brooding ballads is pleasant enough. But its not pushing boundaries as another Elephant 6 act Apples in Stereo do and nor is the quality of songwriting up their with Mangum’s great tracks. The vocals of Ben Crum, the only original member still with Great Lakes, are good enough but sound too much like Howe Gelb, Giant Sand’s frontman. If someone had played me Nature Is Always True from this album and said it was a Giant Sand album filler track then I’d have niaively believed them. 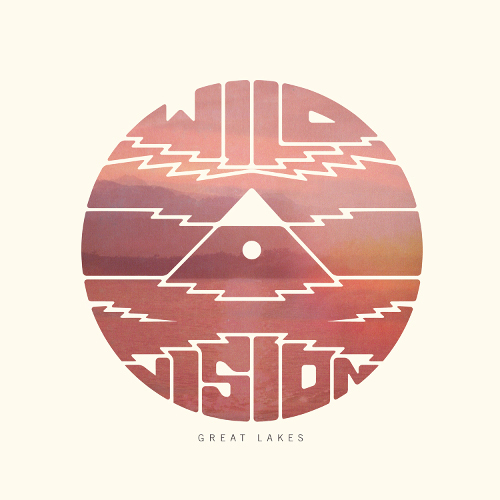 Indeed while Giant Sand’s albums were typified by a mix of killer and filler, Wild Vision is just all filler. Given this lack of originality it is hard to go crazy with praise for this album. But that doesn’t make it bad. The songwriting is ok and the sound is pleasurable but beyond background music or a talking point to kick start a conversation about Giant Sand there’s little here to remember. 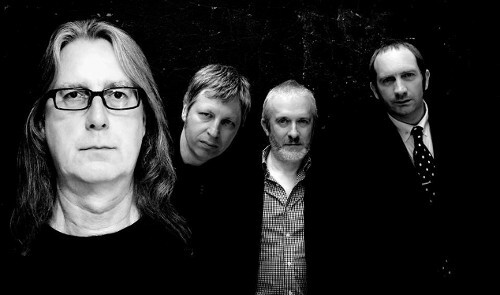 I would have thought after nearly 20 years as a recording entity that Great Lakes would have found their own sound by now but there’s nothing here to suggest they ever will. Maybe its middle age, perhaps a sudden hankering for nostalgia, but it’s clear the urge to revisit the 1980s is strong for Okkervil River’s Will Sheff and their former keyboardist Jonathan Meiburg, who now leads environmentalist prog rockers Shearwater. 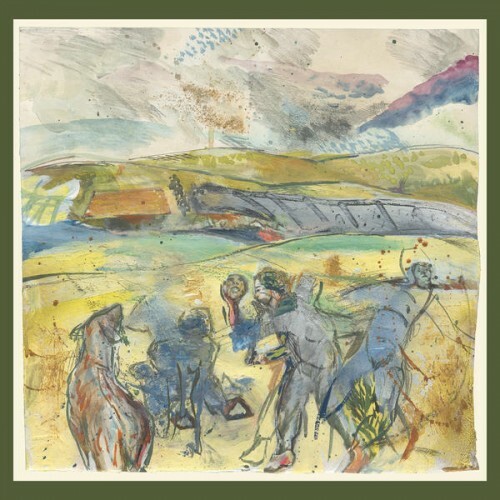 While the focus of Okkervil River’s 1980s drenched 2013 album Silver Gymnasium was more Breakfast Club with its nostalgic, adolescent themes, Meiburg’s political and conservationist zeal sees him look to more serious inspiration, most notably Talking Heads’ Remain in Light and Scary Monsters, by the sadly departed David Bowie. Over the last decade or so Meiburg’s Shearwater has favoured drama through its songs, often about the tragedies and joy of nature, as was heard on their 2010 album The Golden Archipelago, about the conservation threat posed to the world’s fragile islands. 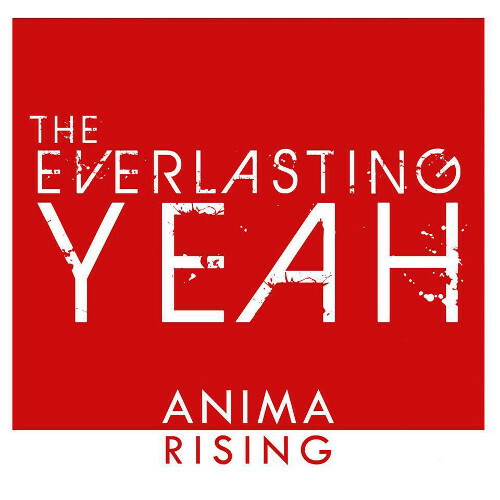 When they signed to Sub Pop in 2012 and released Animal Joy the same sense of political and environmental drama continued, but this had a more radio friendly sound. This album is a natural progression on both Animal Joy and The Golden Archipelago. It’s beautifully produced and wonderfully dramatic, thanks to the addition of film composer and percussionist Brian Reitzell, whose cinema credits include Lost in Translation. It’s also accessible, full of 1980s electronica and synths, which provides a great juxtaposition to Meiburg’s more traditional baritone and the band’s timeless subject matter, about humans’ relationship with the natural world. There’s also an unease for Meiburg in being an American on this album. Unsurprising really for this environmentalist to be part of a country that is one of the world’s biggest polluters. 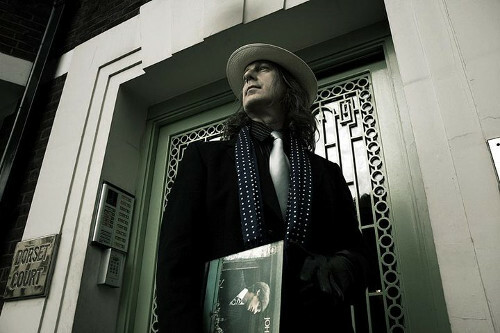 This discomfort is best shown on the album’s lead track Quiet Americans, which acts as both an implicit apology for his country’s treatment of the planet and an call to arms to make amends. But while there’s more electronica on this album than on previous releases the band can still be safely categorised broadly as guitar pop/rock, with the riffs of Back Channels proving another highpoint. Pale Kings too is joyous guitar pop and Only Child sounds like one of Richard Thompson heavily produced 1980s albums. Is there any filler? Filaments is almost there due to its lack of melody compared to tracks like Quiet Americans. However, its driving bass and vintage synths turn this mundane song into another highlight. While lacking the melodies that made Rook one of 2008’s best albums, this album as a whole is sonically perhaps their best yet. 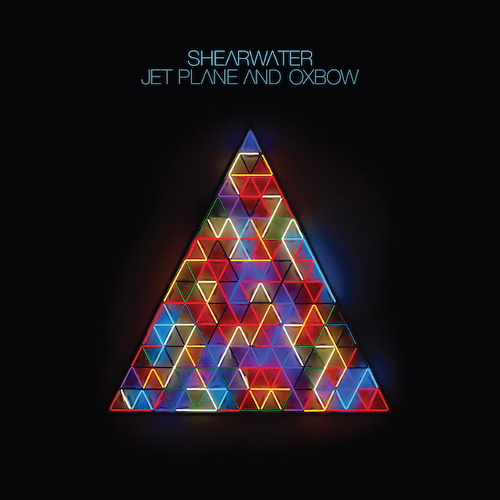 Given that this is the most cinematic of their releases it is strange that they have yet to create a film soundtrack – which surely must be the next stage in Shearwater’s evolution. Details of this year’s Glastonbury Festival Emerging Talent competition, which offers UK and Ireland based acts a chance to play on one of the iconic event’s main stages, have been announced. As well as a main stage slot, the winner will receive a £5,000 talent development prize from PRS for Music Foundation. There are also £2,500 PRS development prizes for two runners up. We are also delighted to announce that Neonfiller.com’s editor Joe Lepper will once again be among a panel of 40 music writers, who will be helping to compile a long list of 120 acts. This long list will then be whittled down to an eight-strong shortlist by judges including festival organisers Michael and Emily Eavis. All eight will then compete at a live finals at Pilton Working Men’s Club, near to the festival site, in April, when the winner will be announced. The competition is free to enter and open to any musical genre. But you need to get a move on as it is only open for entries for one week only, from 9am Monday 18th January until 5pm Monday 25th January 2016 via glastonburyfestivals.co.uk. When entering acts need to supply an original song on Soundcloud plus a link to a video of themselves performing live. For the last two years the quality of the eight finalists has been so high that all were offered slots at that year’s festival. 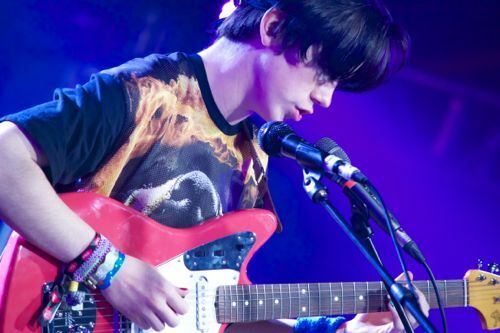 The 2015 winner Declan McKenna, who was aged just 16 when he won, has since been signed by management company QPrime, which also handles Metallica, Muse and Foals. Last year also proved a breakthrough year for Nadine Shah, one of Neonfiller.com’s three long list entrants in 2013. As well as the release of her critically acclaimed album Fast Food, Nadine also featured on two tracks on Ghost Poet’s album Shedding Skin.